HELSINKI/SEATTLE (Reuters) - Microsoft Corp will buy Nokia's phone business and license its patents for 5.44 billion euros ($7.2 billion), a bold foray into mobile devices that also brings potential chief executive contender Stephen Elop back into the fold. Two years after hitching its fate to Microsoft's Windows Phone software, the Finnish phone maker that once dominated the global market collapsed into the arms of the U.S. software giant, its mobile business ravaged by nimbler rivals Apple Inc and Samsung Electronics. Shares in Microsoft slid as much as 6 percent in the afternoon, lopping more than $15 billion off the company's market value, as investors protested the acquisition of an underperforming and marginalized corporation that lost more than $4 billion in 2012. Retiring CEO Steve Ballmer is trying to remake Microsoft into a gadget and services company like Apple, a move that has not won the endorsement of all shareholders. Nokia CEO Elop, who ran Microsoft's business software division before jumping ship in 2010, will return to the U.S. firm to head up its mobile devices business just as the company's board considers a successor to Ballmer, who announced last week he will retire within a year. Elop, who presided over Nokia's market share collapse and a shriveling share price during his three years at the helm, is being discussed as a potential replacement because he remains respected and is considered one of the few who can fully grasp Microsoft's sprawling empire. But disgruntled Finnish media labeled him a Trojan horse who handed over the keys to one of the few remaining European technology powers. Nokia, whose market value topped $200 billion over a decade ago, will now concentrate on its networking equipment unit, navigation business and technology patents. 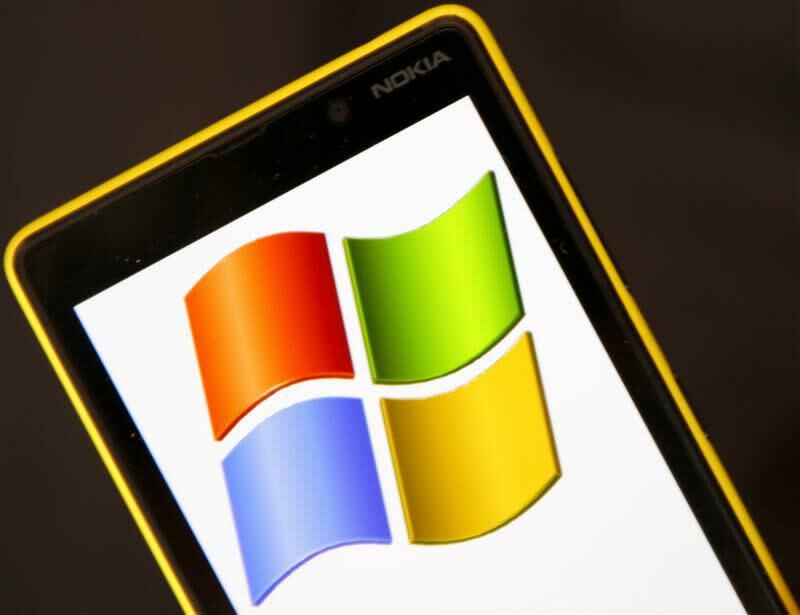 The Nokia deal thrusts Microsoft deeper into the hotly contested mobile phone market, despite some investors urging it to stick to its core strengths of business software and services. Activist fund manager ValueAct Capital Management, which has been offered a board seat, is among those concerned with Ballmer's leadership and his attempts to plough headlong into the lower-margin, highly competitive mobile devices arena. "Adding to the cost structure when shareholders may be looking for steps in the other direction is not likely to be well received...," said Nomura analyst Rick Sherlund. "Perhaps a decision to repurchase stock and up the dividend would be a good idea right about now." Others applauded Ballmer's aggressive gambit. "Microsoft cannot walk away from smartphones, and the hope that other vendors will support Windows Phone is fading fast. So buying Nokia comes at the right time," said Carolina Milanesi, an analyst at Gartner. "In today's market it is clear that a vertical integration is the way forward for a company to succeed. How else could Microsoft achieve this?" As part of Microsoft, Elop will head an expanded Devices unit. Julie Larson-Green, who in July was promoted to head a new Devices and Studios business in Ballmer's reorganisation, will report to Elop when the deal is closed. It is a pivotal moment for Microsoft, which still has huge revenues from its Windows operating system, Office suite of business software and Xbox game console, but has failed so far to set up a profitable mobile device business. Microsoft's own mobile gadget, the Surface tablet, has sold tepidly since it was launched last year. "We think we have made excellent, excellent progress with the partnership and yet we also know we have a long way go and felt on balance that together this is the best approach for both companies' shareholders," Ballmer told Wall Street analysts in a conference call to explain the deal early on Tuesday. Microsoft said it would make more than $40 profit on each smartphone it sells once it owns the Nokia business, as opposed to less than $10 now, due to development and marketing costs it pays to Nokia. However, it said the business would not be fully profitable until fiscal year 2016, and needs to sell more than 50 million smartphones a year to break even. Last quarter, Nokia sold 7.4 million smartphones. The deal leaves the Finnish company with Nokia Solutions and Networks, which competes with the likes of Ericsson and Huawei in telecoms equipment, as well as a navigation business and a broad portfolio of patents. In 2011, after writing a memo that said Nokia lacked the in-house technology and needed to jump off a "burning platform", Elop made the controversial decision to use Microsoft's Windows Phone for smartphones, rather than Nokia's own software or Google Inc's ubiquitous Android operating system. Shares in Nokia surged 34 percent to close at 3.97 euros by late Tuesday. While up from their decade-low of 1.33 euros hit last year, they are still only a fraction of their 2000 peak of 65 euros. After today's gains the whole company is worth about 15 billion euros, a far cry from its glory days when it reached over 200 billion euros. "It's very clear to me that rationally this is the right step going forward," Elop told reporters, though he added he also felt "a great deal of sadness" over the outcome. "I feel sadness because inevitably we are changing Nokia and what it stands for." While some investors credit Elop for bringing urgency to Nokia, which has stepped up its pace of product development in recent months and is due to announce a "phablet" large-screen handset this month, his legacy will be a bitter one for Finland. The company, which began life as a paper mill and has sold an eclectic range of products from television sets to rubber boots in its 148-year history, was a national champion in its heyday, accounting for 16 percent of all exports. Hired by former chairman Jorma Ollila, Elop was Nokia's first foreign CEO. For many Finns, the fact that a former Microsoft executive had come to Nokia, bet the firm's future on an alliance with Microsoft, laid off about 40,000 worldwide and then delivered it into the software giant's hands, was a galling snub to national pride. "Jorma Ollila brought a Trojan horse to Nokia," a column in widely read tabloid Ilta-Sanoma said. "As a Finnish person, I cannot like this deal. It ends one chapter in this Nokia story," said Juha Varis, Danske Capital's senior portfolio manager, whose fund owns Nokia shares. "On the other hand, it was maybe the last opportunity to sell it." Varis was one of many investors critical of Elop's decision to bet Nokia's future in smartphones on Microsoft's Windows Phone software, which was praised by tech reviewers but hasn't found the momentum to challenge the market leaders. "So this is the outcome: the whole business for 5 billion euros. That's peanuts compared to its history," he said. Alexander Stubb, Finland's Minister for European Affairs and Foreign Trade, said on his Twitter account: "For a lot of us Finns, including myself, Nokia phones are part of what we grew up with. Many first reactions to the deal will be emotional." Nokia's new interim CEO Risto Siilasmaa painted a picture of just how grudgingly the call to sell had been arrived at, describing how the board had met almost 50 times after the approach by Microsoft around February. Ballmer, at a news conference in the Finnish capital, sought to assuage fears the deal would hit jobs in the Nordic country and said Microsoft would build on the recent growth of Nokia's flagship Lumia smartphones. Nokia said it expected around 32,000 people of its roughly 90,000 staff to transfer to Microsoft, including about 4,700 who will transfer in Finland. Analyst Tero Kuittinen at consultancy Alekstra said the sale price of Nokia's phone business, about a quarter of its sales last year, represented a "fire sale level." Others were less clear about what a shrunken Nokia was worth. The price agreed for the devices and services business gives it an enterprise value of about 0.33 times sales for a loss-making business, about half what Google paid for Motorola's handset business in 2012. "What should be paid for a declining business, where market share has been constantly lost and profitability has been poor?" said Hannu Rauhala, analyst at Pohjola Bank. "It is difficult to say if it's cheap or expensive." Nokia remains the world's No. 2 mobile phone maker behind Samsung, but it is not in the top five in the more lucrative and faster-growing smartphone market. Sales of Nokia's Lumia phones have helped the market share of Windows Phones in the global market climb to 3.3 percent, according to consultancy Gartner, overtaking ailing BlackBerry Ltd for the first time this year. Still, Google's Android and Apple's iOS make up 90 percent of the market. Credit default swap spreads on Nokia tightened by more than 30 basis points to around 200 basis points after the news, meaning it now costs $200,000 to insure $10 million worth of Nokia debt, which is rated junk due to worries about its shrinking cash position and market share. Nokia said it expected that senior executives Jo Harlow, Juha Putkiranta, Timo Toikkanen, and Chris Weber would transfer to Microsoft when the deal is concluded, probably in the first quarter of 2014. Goldman Sachs acted as financial advisor to Microsoft, while JP Morgan advised Nokia, according to people close to the deal. Law firm Simpson Thacher represented Microsoft, while Skadden, Arps, Slate, Meagher & Flom represented Nokia, they said.